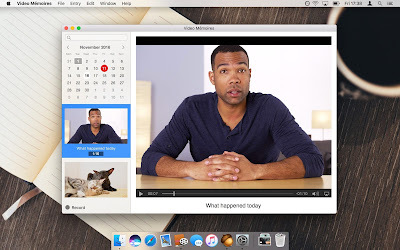 Video Mémoires is the new Mac product from Coding Robots. It's an easy-to-use video diary software. 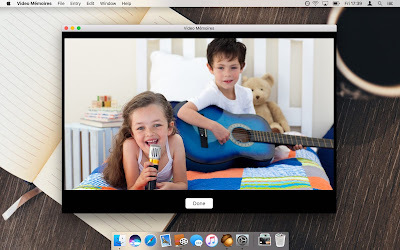 To record video, you click a button, and after the three-second countdown the program begins recording video from your webcam (you'll get the blinking "REC" indicator in the top-left corner of the window). You can browse your recordings using calendar, or search recordings with find-as-you-type feature. Video Mémories is very easy to use, has a beautiful user interface, and saves your videos using the standard H.264 MPEG format. You can also export recordings from your video diary to your Desktop or any other folder for sharing with others. Your whole library is automatically backed up if you use Time Machine, so you won't lose your videos.